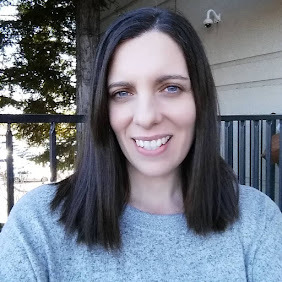 Ava Seavey has written a fun and practical guide on the art of having a garage sale. Most of us may think we know how to have a garage sale, but the tips and information in this book can truly maximize your profits. In this tough economy, who couldn't use some extra cash? We all have have stuff in our houses and garages that we don't need or don't want. Why not get rid of it and make some money? For those of us who dread all the work a sale requires, Ms. Seavy encourages us, cheers us on and makes it sound like it might even be fun. She gives advice on getting organized, pricing your items, and how to advertise so that you can pull in the biggest possible crowd of buyers. There's also an interesting psychological profile on the seven different types of people that most of your customers will fall into. Are they a collector, a bargain hunter (usually annoying and cheap), an entertainment seeker, or even a thief (sad but true)? I have had many a garage sale myself, the last one was a couple of years ago. The whole family got involved and it turned out to be a lot of fun for everyone. Between the coffee and muffins, buying each others stuff, and laughing ourselves silly, we still managed to make a lot of money. I do regret not buying the beautiful iron bed that my daughter-in-law was selling. I learned a good lesson. When you see something you really want, buy it, because it will be gone. So maybe spring or summer is the perfect time for you to have your own sale. 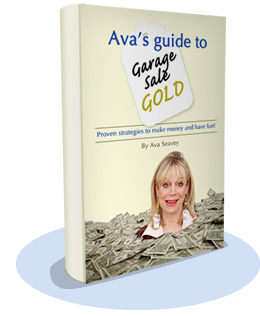 Read Ava's Guide To Garage Sale Gold, make some money and have some fun! 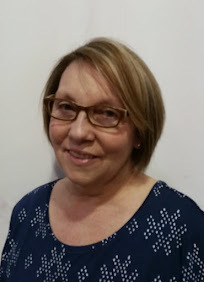 To connect with Ava you can find her at her facebook page or to purchase her book you can buy it on her website.